Sheer literally means milk, whereas Khurma translates to dates. This milky dessert is an Eid special, which is vastly popular in Hyderabad. Sheer Khurma is a rich dessert originally from Central Asia, made on the occasion of Eid al-Fitr. Although there are different variations of Sheer Khurma, the most important ingredients are milk, vermicelli, dried dates and sugar. This rich, creamy dessert has a lot of dry fruits and coconut as well. Sheer Khurma is associated with Eid just as much as any other dish. It is a must-have on this joyous day and adds a sugary delight to the celebration. The term for this delicious dessert originates from the Persian language. ‘Sheer’ literally means milk, whereas ‘Khurma’ translates to dates. This dessert is vastly popular in Hyderabad, where it is the first meal had on Eid morning. It counters the spiciness of the Hyderabadi biryani with its smooth, creamy sweetness. This dish is a definite Eid essential, and various Muslim households often add their own variations to the khurma. The importance is on adding dates in this recipe, as they are important fruits for fast-breaking in the Holy Month of Ramadan. Dates are highly nutritious and help to keep the mind and body rejuvenated. 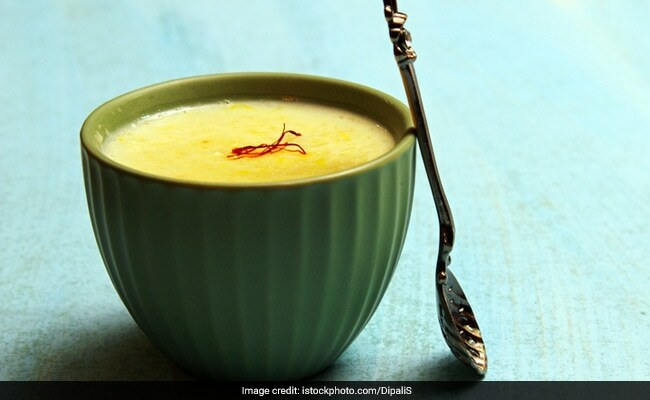 A bite or two of it is a must-have energy booster, especially for devout fasters, thus making it an important constituent of the Sheer Khurma. Sheer Khurma is a dish that requires meticulous amounts of preparation, and cooking time. It is basically made with vermicelli or seviyan sautéed in ghee, which is then added to thickened, sweetened milk along with dry fruits and dates. Sheer Khurma may additionally be flavoured with spices such as cardamom and saffron to add an aromatic, new tangent to this traditional Eid dessert. Try making this wonderful rich dessert today! Here’s a recipe – Sheer Khurma.